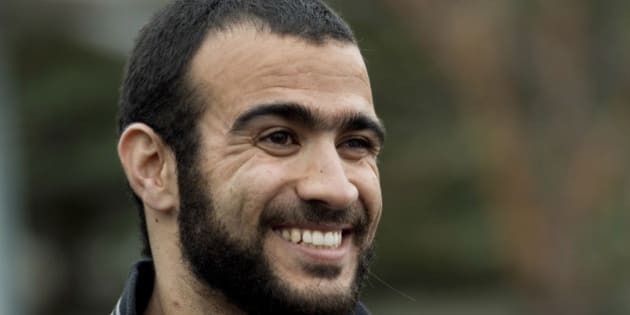 After being imprisoned for over a decade, Omar Khadr is now free on bail. In his first public appearance and media scrum, we witnessed not a mean-spirited radicalized militant, but rather, an articulate humbled young man, and in his own words, someone eager to "prove to [Canadians] that I'm more than what they thought of me." As I'm sure is the case with many other Canadians, I too am left with a sea of emotions in the wake of the release of Omar Khadr. After being imprisoned for over a decade, including years forgotten in the infamous Guantanamo Bay detention centre, Omar is now free on bail. In his first public appearance and media scrum, we witnessed not a mean-spirited radicalized militant, but rather, an articulate humbled young man, and in his own words, someone eager to "prove to [Canadians] that I'm more than what they thought of me." While watching the press conference, I couldn't help but be reminded of that sensation I'm often left with when I haven't seen someone's children for a long time, and then I see them "magically" all grown up. Like a fly in amber, we have a tendency to trap people in a moment from their past -- it's as if our mind is incapable of allowing the movie to play on if we are not there to witness it firsthand. There's no doubt that we all take advantage of living in an increasingly globalized world -- one in which the fluidity of cultures, languages, and traditions engages in a constant dance to embrace foreignness, while at the same time each attempts to carve out its own space of relevance in a changing world. Friction is inevitable, but I am deeply troubled by the reaction of many of our government leaders, who often default to a position that "difference" equates to a potential "threat." Being told that our reality is that we live in a constant state of alert has done little except desensitize us to the learning and growth opportunity that resides in dissonance -- that overlap of cultures, that space where what we thought we knew is put into question. Let me bring this back to the release of Omar Khadr and what I believe is the most important lesson I can take away from this very politically and emotionally charged debate. When asked if he had anything to say about his actions as a 15-year-old on a battlefield half a world away, Omar offered these very simple words: "I'm sorry for the pain I caused... There's nothing I can do about the past. I hope I can do something about the future." It's with all this in mind, that I choose to view the release of Omar Khadr not as an opportunity to jump on yet another bandwagon by aligning myself with those who view him as evil incarnate, or those who view him as a manipulated child soldier, or even those who feel that adequate justice has been attained. Instead, I choose to remind myself that there is nothing that any of us "can do about the past," and my eternal hope is that by doing the next right thing, I can only hope to "do something about the future."